When I am out taking photos or just walking about, my eyes and brain automatically look for patterns. Do you see a pattern of something? What is it? Now that you mention it, yes I'm surrounded by patterns. Nice shot. great shot Karen, it's always great to keep an eye for patterns, it is a very good mind exercise. 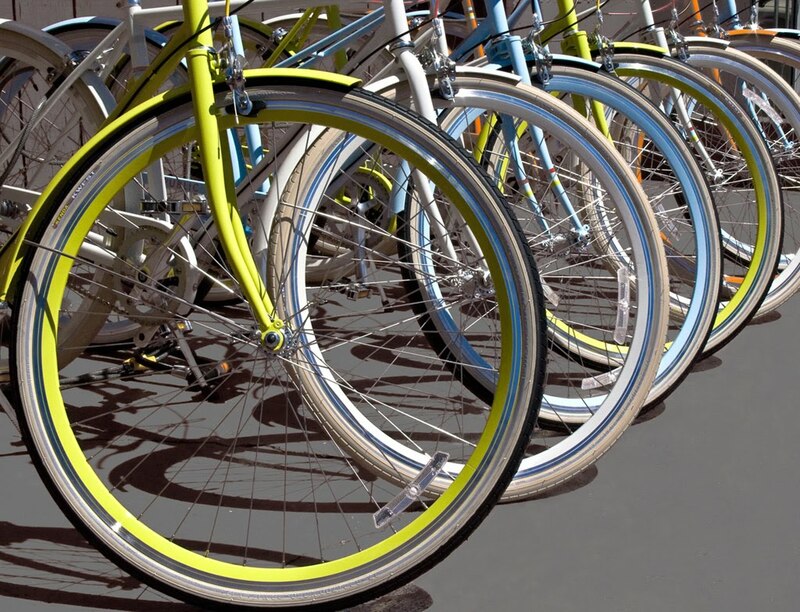 Looking at those bike tyres I have developed an urge to stick a pin in the tyres...Nice pic! Poetic Shutterbug: Yes, keep your eyes open and soon patterns will seem to be appearing everywhere. betchai: You have a point, it does keep the mind sharp. nice capture. i enjoy taking pics of interesting patterns. That is a brilliant shot! Patterns and perspective in one shot - nicely done. I have a wonderful triangular skylight above me at work (my pattern) but not pretty enough to photograph. Plus, I need someone to clear the cobwebs out of it. 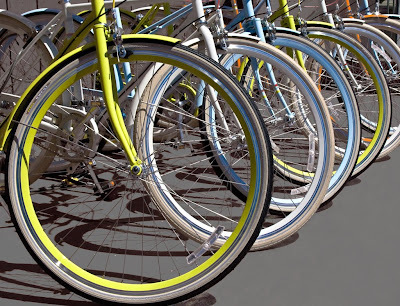 I see silvery blue snakes curling into circles as wheels of the bicycles.